In a 1990 interview, Quincy Jones says rap is "the new music" and it's here to stay. Quincy Jones has been alive and a force in the music business long enough that he's been the subject of not one, but two documentaries about his life — 28 years apart. The later film, Quincy, co-directed by his actor daughter Rashida Jones and Alan Hicks, is premiering at the Toronto International Film Festival. But when the earlier documentary, 1990's Listen Up: The Lives of Quincy Jones debuted, Jones talked to Tina Srebotnjak for the CBC show Midday about his experiences of more than 35 years in the music industry. "I wonder if rap music is to the young kids what jazz was to you," Srebotnjak asked. "No question about it," Jones replied, describing a 1986 party he hosted for his son to which "every rapper in America" had been invited. "The feeling there that night... was the same glow I had when Oscar Peterson took me to Birdland and I got to meet Charlie Parker and Miles (Davis) and Dizzy (Gillespie) and Art Tatum." "This is not just a blip then, rap music, this is something you think is going to grow," Srebotnjak said. "Absolutely," replied Jones. "It already has... it's the new music, you can't get away from this." 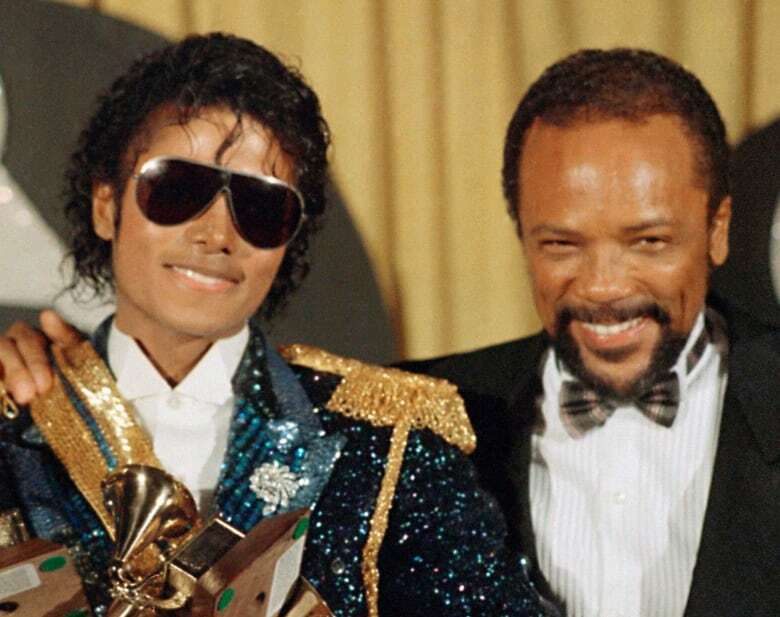 Before producing one of the bestselling albums of all time — Michael Jackson's Thriller in 1982 — Jones was an arranger. "There is one thing that's my thing, arranging and orchestration," said Jones. "That's my first love, and I've spent thousands of hours and days learning how."